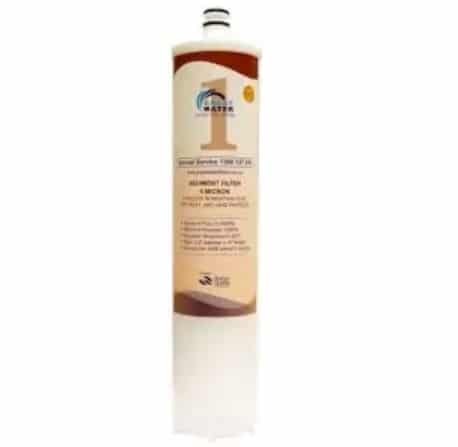 Sediment Removal Cartridge, the first stage cartridge of basic under sink water filtration system (Elite Series 1), removes dirt / sediment from the water in the beginning stage, this dirt removal cartridge is the replacement cartridge for the water filter system. Elite Series 1 is a basic under sink water filter designed to filter the water as an normal operation, it is a 3 stage water filter in which Stage 1 clears the dirt, Stage 2 removes chemicals and odour and Stage 3 removes bacteria and heavy metal.The cartridge for this basic under sink water filter (Elite Series 1) can be removed or placed just with a small twist like changing the bulb in your house, no need of replacement or repair specialist. The Pre-Filter internal filter is made of technologically advance spun polypropylene material. It is a strong and durable product that will filter out dirt, large suspended solids and germs. Replacement of the Elite Series pre-Filter cartridge is recommended every 12 months. The Pre-Filter cartridge prepares the water for the next stage of the filtration process making the system operate to its maximal performance.